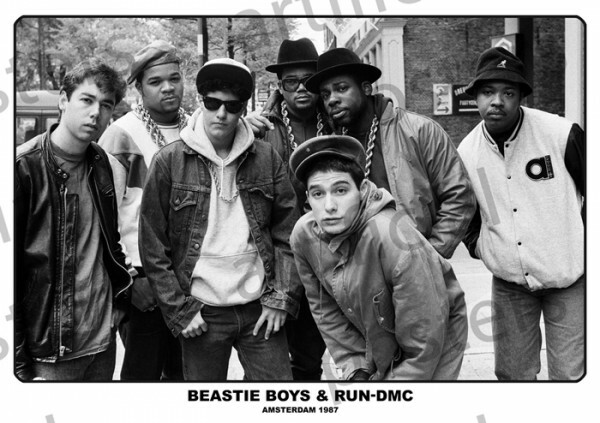 Music posters - Beastie Boys and Run DMC posters: Beastie Boys and Run DMC poster featuring the iconic American hip hop bands together in Amsterdam. The photograph was taken back in May 1987 and features the members of both bands; Mike D, Adam Yaunch, Adam Horovitz, Joseph "Run" Simmons, Darryl "D.M.C." McDaniels and Jason "Jam Master Jay" Mizell. 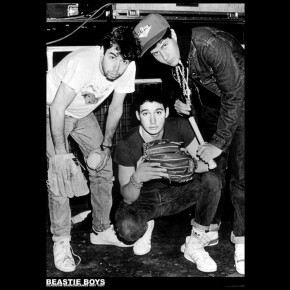 Independently published Beastie Boys and l Run DMC poster.